The luxurious sounds on this album alone are enough to make anyone fall in love with their stereo. 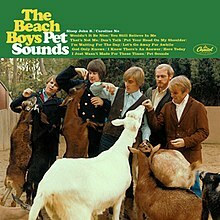 But the genius of Pet Sounds is the way it captures the feeling of youthful longing. “God Only Knows” has got to be one of the best love songs of all time; it turns everybody to mush. Not to mention classics like “Don’t Talk (Put Your Head on My Shoulder),” “Wouldn’t It Be Nice,” and “Sloop John B,” which are impossible not to love. In my opinion, the Beatles are responsible for some of the greatest love songs ever written. And like the band, they matured from innocent pop (“Love Me Do,” “She Loves You,” “All My Loving,” “And I Love Her,” “Can’t Buy Me Love”) to deep, beautifully crafted love songs that reflected the real love John and Paul found in their own lives (“Something,” “In My Life”). While I love it all, “I Want to Hold Your Hand” remains my favorite Beatles love song for the fact that it doesn’t get too serious. It’s just a sweet song that captures that innocent feeling of budding love when you just want to be around someone all the time. “At last, my love has come along / My lonely days are over / And life is like a song.” Few have so eloquently expressed that overwhelming sigh of relief that comes when love is found. And the pure emotion that the late, great Etta James brings to this, her signature tune, and the blues classics (“I Just Want to Make Love to You”) and jazz standards ("Stormy Weather" and "A Sunday Kind of Love") on her debut album will never fade. Even if the news of her death wasn’t so fresh, Whitney Houston would still be on this list. The emotion is so real in her skyscraping love ballads - from her truly joyful eponymous debut (which features the hits “How Will I Know,” “The Greatest Love of All,” “You Give Good Love,” and “Saving All My Love for You") to her show-stopping delivery of “I Will Always Love You” in the 1992 film The Bodyguard. File under Seduction. This landmark soul recording is widely considered one of the greatest albums of all time, as well as one of the most sexually charged. 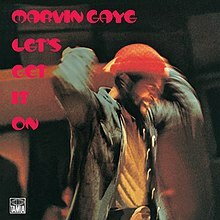 The follow-up to Marvin Gaye’s socially conscious What’s Going On (1971), Let’s Get It On presents a different side of Gaye in its funky grooves and suggestive overtones that is sure to leave you satisfied. Its steamy title track alone is some of the best mood music ever recorded! But this is more than just an album of slow-burning ecstasy and smooth soul; Gaye’s multi-tracked vocals and seductive funk sound greatly influenced later R&B artists.